You'll sure to love the comfort and style of this fashionable three-quarter sleeve shirt. 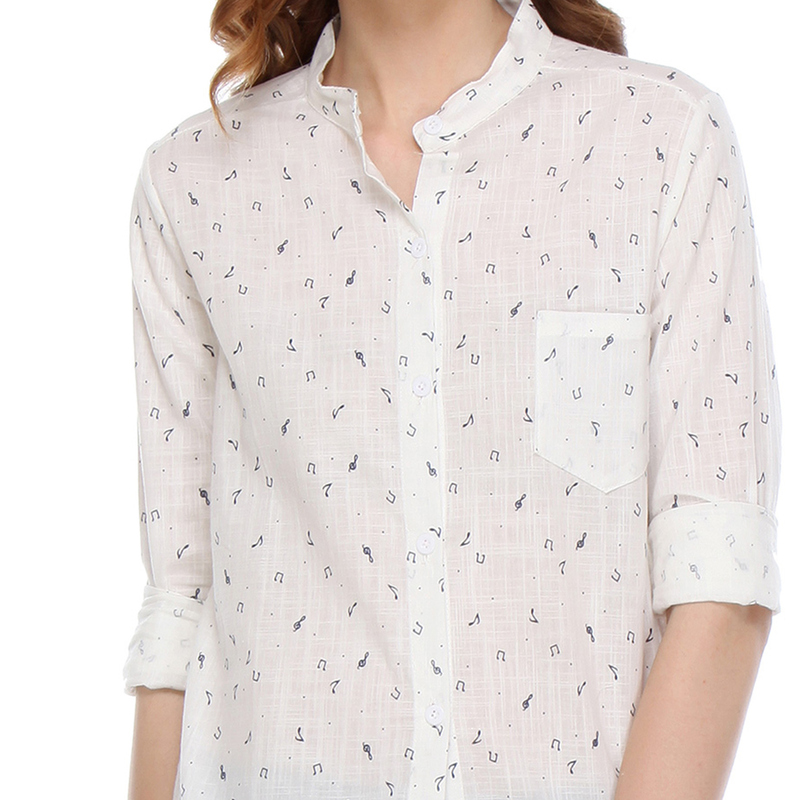 Spread with music note print over its white background, this shirt will give your casual outfit. Also an epitome of comfort to stay at ease this summer, owing to its cotton construction, this T-shirt will look cool with denim shorts and shoes.